These cheese samosas are stuffed with a delicious mixture of cheeses then fried until golden and crunchy. Serve them hot to enjoy the melting cheese! 1. In a bowl, crumble together feta and cream cheese. 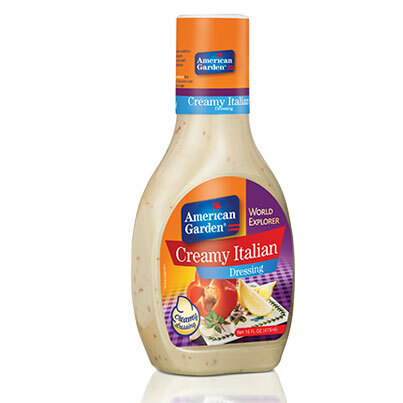 Add mozzarella cheese and mix. 2. Add parsley and oregano and stir to combine. Set the mixture aside. 3. In a small bowl, stir together flour and water. Set aside. 4. Put 1 tbsp. of filling on one corner of a sheet. Fold the sheet into a triangular samosa and seal the open corner with the flour – water mixture. Repeat with the remaining sheets. 5. 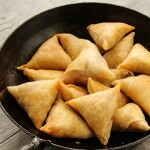 Fry the samosas in preheated oil over medium heat, for about 3 minutes or until golden brown. Drain on paper towels. 6. 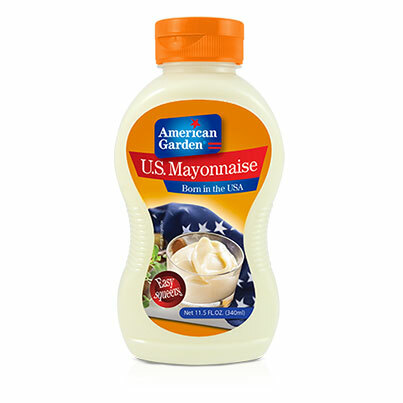 For serving: In a bowl, mix ketchup, mayonnaise, mustard and a pinch of white pepper until combined. 7. 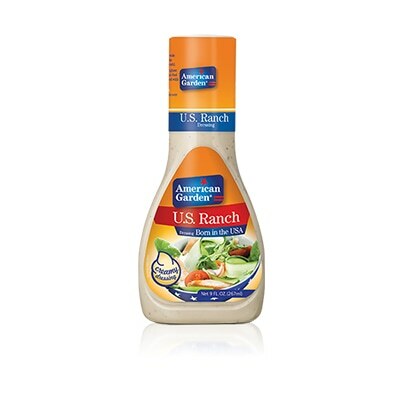 Serve the samosas next to this dip, in addition to American Garden’s Ranch Dressing and Italian Dressing. Note: While working with one samosa sheet, keep the rest covered with a towel to prevent them from drying out.